No, not my wedding anniversary, that is in August. Today marks 7 years of blogging. I don’t even know how to begin wrapping my head around that number. Truth be told, it’s really been longer than that because way back in 1998 I had a Yahoo Geocities website where I posted my thoughts on politics, audio files of songs I wrote (real player anyone?) and pictures of my family. I didn’t even know the word blog at that point. Yet, here I am. The really great thing about the blog I started 7 years ago is the story behind it. I was a poor college student writing a paper in the library in desperate need of coffee. Sadly, I had no money. I jokingly posted on a school messageboard asking for coffee money and someone immediately messaged me back saying they would give me the $2 I so desperately needed! You can read my very first post here! And so the blog was born. What I love about that story is that it completely embodies everything I love about blogging and the internet. The post itself is silly, a bit embarrassing and short. But the spirit of people helping people and strangers connecting in the sometimes most unlikely circumstances was alive and well. Our lives may get busy, but there is always someone online. Case in point, the other night I was up at 2:30am designing our Christmas card because I couldn’t sleep. I tweeted to see if anyone else was awake and I got a response. I suppose it was a misery loves company type of thing. While I hate for anyone else to have insomnia, it helped in some small way to know that I wasn’t alone. I want to be a generous person. Both online and off. I know that I have a long way to go, but I am so thankful that the journey thus far has led me here. I have learned and continue to learn so much about this blogging thing. I know that I love to write and when I can’t, I feel a void. The next few days I will be posting some giveaways to say thank you for sticking with me. Thank you for sharing your lives with me. And thank you thank you thank you for reading. As for that 7 year itch? Don’t worry, I may be busy right now but I am not going anywhere. Impressive — hope I can have your staying power! Wow! Seven years! Good for you Momma! I always love hearing the stories of how people came about blogging. A coffee via Internet is probably one of the most unique ones yet! Happy 7 year, Andrea! 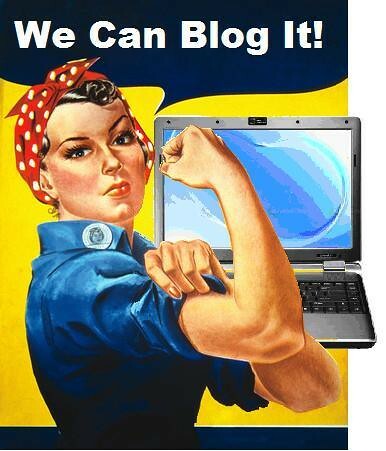 I remember first hearing about blogging and wondering why anyone would want to do that. HA! Here’s to AT LEAST seven MORE years! Congratulations! Seven years is practically a life time in blogging years.